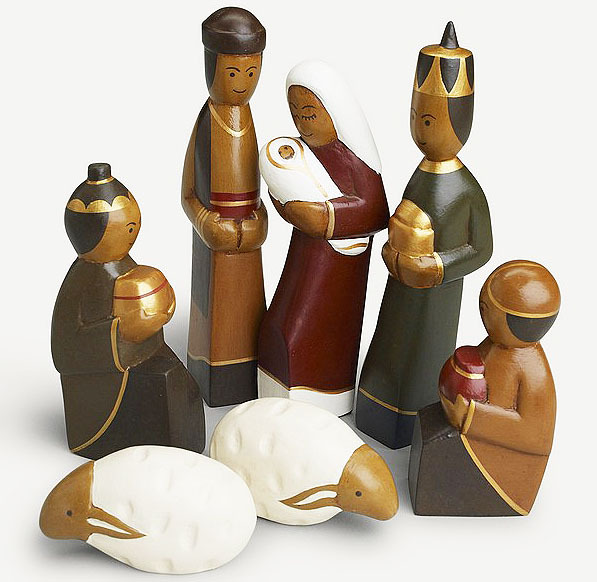 From the islands of Indonesia, a unique nativity to celebrate a universal story. Albesia wood comes from the large, fast-growing albesia tree, found in tropical regions of the world. This common light-colored softwood is often used for furniture, decorative carving and paper production. Decorative only. Keep out of reach of children. In many parts of Indonesia, rural families have increasingly had to migrate to find work to support their families. Pekerti, the Indonesian People's Handicraft Foundation Marketing Service, has been working since 1975 to preserve traditional Indonesian handcrafts skills and to promote income-generating projects among the rural families.